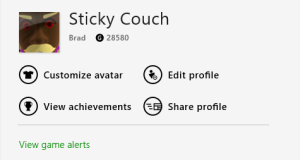 Beyond its polished, tile-based surface, Microsoft's new operating system plays host to a legion of smaller annoyances—a cornucopia of quirks that will leave you seething long after you get the hang of all the new gesture controls and schizophrenic system options. Some of the problems are whoppers. Others are mere nitpicks that result from a lifetime of traditional Windows use. But many of these problems can be fixed, with one major exception. Read on! Disabling the lock screen is but a hidden option away. That POP option in the Mail app? It's a trick. The key lies in the Mail app's support for popular webmail clients, including Gmail and Outlook.com—two free favorites that just happen to be able to connect and link with outside POP email accounts. See where I'm going here? Just create a free email account with either service, and then link your POP mail account to it using the tutorials supplied by Outlook.com or Gmail. VLC's myriad media options include full DVD playback. VLC isn't as polished as Microsoft's Media Center software, but it's jam-packed with utility, offering full DVD playback and ripping support, robust file-transcoding options, the ability to tune in to Internet videos and podcasts alike, and even spotty Blu-ray support if you enlist the help of add-ons with questionable legality. Our guide to mastering VLC will get you up and watching in no time—and for no money. 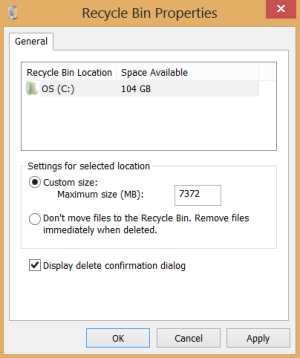 The Recycle Bin properties screen. 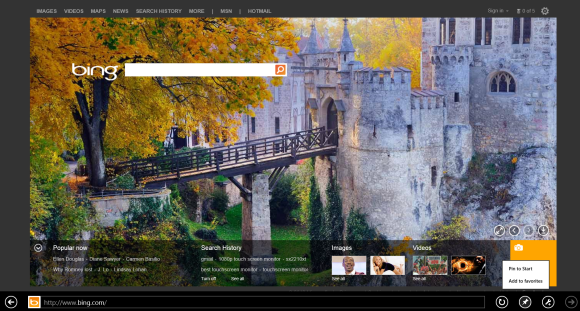 Skip the Bing app, and pin the Bing website instead. 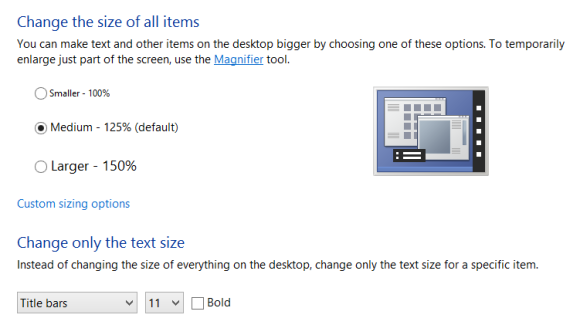 Desktop image sizing options: Not just for the hard-of-seeing. That's the avatar face of anger. Unfortunately, Windows 8's single-most oppressive annoyance can't be fixed by minor tweaks, or—as I was told after spending hours on the phone with multiple support representatives—by Microsoft itself.